The Community Foundation has announced it will award two lifetime achievement awards at its 75th Anniversary Dinner on May 9th at the Blue Water Convention Center in Port Huron. 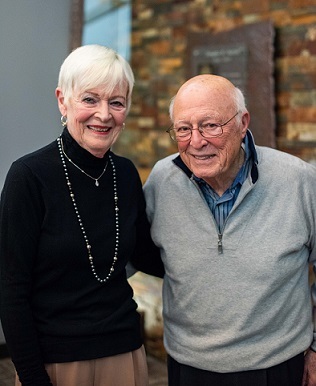 Don Fletcher and Marty Weiss, who between them have more than 75 years of community leadership experience, are the two recipients of the 2019 Distinguished Service Award. The DSA was first awarded in the late sixties, honoring four individuals: Louis A. Weil, founder of the Times Herald; Fred L. Riggin Sr., President of Mueller Brass; Edgar W. Kiefer, President of Port Huron Sulphite & Paper Co.; and local philanthropist Henry G. McMorran. Since then, this award has only been given when an individual exhibits the extraordinary characteristics and achievement worthy of this honor. Among past recipients are F. Granger Weil, son of Louis and former editor and publisher of the Times Herald; John F. Wismer owner of Radio First; along with Howard Acheson and his son Jim Acheson. 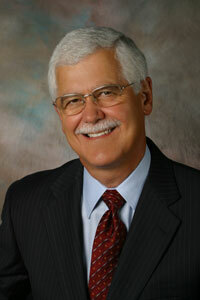 Don Fletcher is best known as the retired President and CEO of Port Huron Hospital. He started with the Foundation as an Advisory Trustee in 1999 and has continued as a valuable member to this day, including his time as Board Chair from 2010-2013. Outside of the Foundation, Don offered his time and leadership to various local boards and professional organizations including: United Way Campaign Chair in 1999, elected Chair of the Michigan Health & Hospital Association in 2000, and as the first Co-Chair of Blue Meets Green. Marty Weiss, our own Foundation historian, began his adventures with the Foundation back in 1964 when he became an Advisory Trustee. 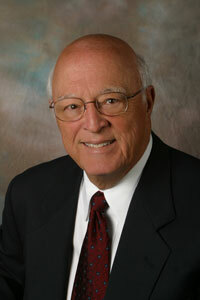 He continued to serve as trustee and on numerous committees and initiatives until his retirement in 2013. He served more than 50 years on the SC4 Foundation board as well. Mr. Weiss provided leadership as a local business owner in downtown Port Huron and served as President of Downtown Port Huron, Inc. in 1974. Also that year, he received the notable recognition of “Outstanding Young Man of the Year” by the Port Huron Jaycees. This month we are featuring a Q & A with Marty Weiss, with a feature on Don Fletcher to follow in April. How did you get involved with the community foundation? We (my wife Melanie and I) moved to Port Huron in 1962. In May of 1964, I was asked to serve as an Advisory Trustee on the District Foundation (Predecessor organization to the Community Foundation). In 1968 I became a member of the Community Foundation. It was in that position that I was able to meet many Foundation board members, some of whom, I had previously met socially through my Father-in-law, Robert Andreae (a Board Member) and other board members: F. Granger Weil, John Wismer and Eugene Moak (who was the father of my good friend Bob Moak) just to name a few. Why has giving back to the community been such a big part of your life? My wife Melanie and I have benefitted in many ways from being a part of this community and because of such benefits we have tried to do our best to give back to the community in any way possible within our ability. Did you have a role models or someone that inspired you to get so involved in the community? First, my parents (Blanche & Jack) by clearly demonstrating a very strong work ethic to me. Regarding involvement in the community: F. Granger Weil, John Wismer, James C. Acheson and my very good friend who served as our longest serving (30yrs) City Manager –Gerry Bouchard. What is your greatest memory during your time as a foundation board member? Watching the YAC (Youth Advisory Council) folks become very active and accept the responsibility of philanthropy at a young age. Helping to better those less fortunate when the opportunity exists. If you had to pick one favorite thing about the foundation, what would it be? The ability to unite neighboring communities who share common needs, donors and most important: doers! What would one piece of advice be for future generations looking to continue great and impactful works in our community? Look forward for dreams and ideas without losing sight of history and what has worked in the past. What changes have you seen the community foundation go through over these last several years? The Foundation has redefined scholarships with a new focus on college, career and life success. As our donors have expanded their support for young adults and working class parents well beyond tuition and books to include a full range of life’s needs. Examples: Come Home Award, Complete your degree award and to improve your skilled trade levels. As you think back over your many years as a community leader, is there one thing that gives you the most pride and satisfaction? The opportunity of meeting so many well meaning men and women who shared the same desire of bettering our communities. Whether it was the SC4 Foundation founders and boards or the many board members and staffs of the Community Foundation that I participated in over the last 50+ years.